A legacy of colonial rule has been the undefined state of India’s borders. That borders remain unsettled along a significant portion of their length until today can no longer be attributed to the colonial power. The Indian state has also not remedied the untidy state of its borders in the period since Independence. While the state has exerted to ensure defence of its borders, not arriving at a settlement with its neighbours ensures protraction of state insecurity by intractable conflict. Extensive military presence on the border, variously called Line of Control (LC) and Line of Actual Control (LAC) etc, appears inevitable. Consequences for the military and the army in particular have been considerable, not all of them beneficial. The army is forced to remain a ‘mass’ army. Therefore, despite its effort towards modernisation as a ‘lean and mean’ force, it remains an army characterised by numbers and a corresponding attrition orientation in its military culture. Fallout on higher planes exists as well ranging from the strategic to the sociological. For the state, the security-development balance gets unwarrantedly skewed in favour of security. Unsettled borders lead to the second preoccupation of the army, counter insurgency. This creates civil-military tensions where none need exist. This paper explores the affects of the unsettled nature of India’s borders on India’s army. The aim is to bring out that the army’s concentration on its primary task of defending territory has had deleterious consequences for both, the army and at one remove for national security. There is therefore a need not only for a meaningful foreign policy thrust to resolve borders with ‘give and take’ informing such an exercise, but in the interim to also rethink the border guarding role, central to the military’s doctrinal thinking. The paper arrives at this conclusion by first taking a discursive look at the manner the army has responded in fulfilling its primary role over the years. It then looks at the specific practices the army employs to defend territory. Thereafter it examines the implications in terms of strategic doctrine and sociology of the military. Lastly, it suggests that the otherwise less visible issues revealed by the paper warrant a pragmatic rethink on India’s border problem. The Indian army scrambled to make Kashmir’s borders its own on 27 October 1947. From the airfield at Palam it airlifted 1 Sikh to bring succor to Srinagar under threat from raiders. Over the remainder of the year, the army valiantly swept back the kabailis, but not to their start point at Muzaffarabad. The frontlines in J&K ranging from Poonch to Ladhak firmed in over the following year. The ceasefire on 1 January 1949 resulted in a line agreed to at Karachi in July. That war in ‘slow motion’ has been of long term and deep significance. The ceasefire line was along an ethno-political frontier at which Nehru called off operations, between the Kashmiri and Punjabi ethnic groups and at the outer limit of Sheikh Abdullah’s political sway. This enabled territorial depth to Pakistan’s heartland Punjab, since it allowed that state to retain the territory that had not been retrieved by Indian army. The Kashmir problem remaining beyond the war ensured that the line was not converted into a border. As a result the army has had to defend it along its length of over 700 km. Since Kashmir was disputed territory the threat of it changing hands needed warding off by an omni-present and ever-alert military. This implied holding ‘every inch’ of land. This came to define the army’s structure and culture subsequently. The lesson learnt by India was on non-provocative defence on the China front as long as its preparedness lagged behind. For its army the set back only deepened a ‘never again’ commitment to its primary role. Ware withal not being available for intimate defence of territory and, happily, the necessity having receded in the Chinese reverting to status quo, India managed the border by raising ten mountain divisions. Even if manageable in the geopolitical circumstance of the times, the China border was never far from strategic considerations. Manekshaw’s input on the timing of the operation in East Pakistan was determined in part by his consideration of the passes being closed in winter making winter an ideal time for military adventurism. Less visible, though non-trivial, have been the sociological implications. This expansion of the army, in particular its officer corps by emergency commissioned officers, led speedily to an ‘Indianisation’, or a permanent eclipse of the inheritance of the Raj in the army. Clearly, what happens on the border can seldom confined to that locale. The next war India fought, the 1965 War, had borders more directly at its center. Pakistan tested India’s military renaissance underway after the Chinese debacle at the Rann of Kutch early in the year. A marginal area, it was a skirmish soon forgotten by consigning the border delimitation to arbitration. But, ominously, the military tryst served as prelude to the second invasion in Kashmir by irregulars. These came across in August in eight infiltrating columns to stir an imagined uprising in the Valley. India’s response was to plug the infiltration by capturing the Haji Pir pass across the ceasefire line. Pakistan, deluding itself into a belief that the ceasefire line and the international border were disconnected, launched an armed attack in Jammu sector to sever Kashmir’s lifeline from India. India by speedy reaction across the international border in the Punjab sector dispelled this notion. With the army unable to exploit success of its lead elements in taking Batapore across the Ichhogil Canal, the war ground on for three weeks. The two states continued skirmishing for tactical advantage after ceasefire till they agreed to at Tashkent to respect the status quo. This resulted in India vacating Haji Pir, an act, rankling the military till this date, perhaps casts a shadow over its attitude to pulling off the Saltoro ridgeline at Siachen today. The war served to shift the focus away from the mountains to the plains, but with a carry over of the territorial and defensive mindset forged there southwards. The initial effect was in terms of development of defences based on water obstacles along the Indus Water Treaty based canal networks. Even as these defenses were stabilising, Indian army executed the epitome of maneuver warfare in helping liberate Bangladesh in 1971. Though an attritionist mindset dominated the planning stage in which it was originally envisaged to nibble at some territory to plant the Bangladeshi flag, Lt Gen Jacob recalls inserting the provisions into the plan and preparations that eventuated in the brilliant victory. On the western front, borders and lines held supreme in a repeat of the draw of 1965. At war’s end, the ceasefire line was so adjusted that the gains made across it, such as at Kargil, were legitimised at the Simla conference in the upgrading of the ceasefire line as the LC. With the war having enabled creation of an additional strike corps, II Corps for operations on the eastern front, thinking on supplementing the defensive strategy with operational punch emerged over the remainder of the decade. This culminated in Rao-Sundarji initiative on mechanisation of the Indian army over the following decade. Through the eighties, defence budgets reflected India’s regional power aspirations. These crossed three percent of the gross domestic product for the only time. Though intended to provide security, they were more indicative of India’s sense of insecurity. 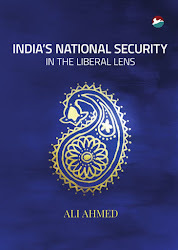 Even though India recast its security ambit to include maritime frontiers, borders did not recede from the consciousness. The preceding mechanization resulted in the manner of their defence changing partially. The central feature was still ‘denial’, i.e. ensuring that the enemy did not ‘gain an inch of territory’. The aspect of ‘punishment’ was built in by the reequipped strike corps and reorganized plains infantry divisions (RAPID). The opening narratives of the ‘whites’ of military exercise usually read: ‘Nark Desh, having fostered proxy war in Swarg Desh, launched an attacked to gain the disputed territory. Swarg Desh having fought off the attack by Nark forces launched its strike corps in riposte/counter offensive….’ This brings out the emerging reality of the period, proxy war, and India’s response. No sooner had India exercised its offensive formations in a compellence mode in Exercise Brasstacks, the situation turned into one of crisis, Operation Trident. The crisis heralded nuclearisation of the subcontinent, precursor of which was the 1974 ‘peaceful’ nuclear test. Initially covert, nuclearisation nevertheless made crossing of the border (and LC) acquire significance as a first step up a notional escalatory ladder or, to some, down a ‘slippery slope’. Dangers have only heightened with overt nuclearisation a decade later and succeeding vertical proliferation. With nuclearisation as the silent aspect of the era, it was low tech proxy war instead that was the more salient feature of the nineties. Proxy war was intended by Pakistan to force a rethink on the territorial status quo represented by LC with the prize, Kashmir valley, on its ‘wrong’ side. Thus, ensuring the sanctity of the LC became even more necessary for the army. The length of the LC became an important counter infiltration battlefield, as fierce as the counter insurgency in the hinterland. In Punjab, the army deployed along the border in Operation Alert, to supplement the paramilitary with a border-guarding role, the Border Security Force (BSF). A border fence that was progressively electrified and lit-up was erected to stanch the flow of terrorists from across the elephant grass covered terrain. The difference of the LC from the IB was as stark as deadly. Beginning in sporadic firefights, the war across the LC reached considerable levels of violence. One version of the causes of the Kargil War has it that the incursion was but an expansion and intensification of what was on along the LC elsewhere and in Kargil. The opportunity at Kargil was used dexterously by India to cover the LC with a sanctity reserved for the IB. Recurrence of crises on the Pakistan front led India to wisely place the eastern front on a back-burner. Beginning with Rajiv Gandhi’s visit in 1988, the China border witnessed confidence building measures (CBMs) as part of a dialogue process through the early nineties. India somewhat reassured itself on its deterrence posture in the east by staring down the Chinese at the Nathu La incident of 1967. The model was used two decades later to impel India’s energetic reaction to Chinese provocation at the Wangdung (Sumdorong Chu) crisis further east in Arunachal Pradesh. The defensive posture was based on keeping the area underdeveloped. The gains a hypothetical Chinese attack could make would be slower, giving enough time to India to place troops in depth. Air force modernization over the eighties would help to offensively interdict the attackers as also transport reinforcements closer to areas of ingress. India lacked the capability to retrieve lost ground as also take the fight to the enemy. Bridging this gap along with a change in the attitude to infrastructure along the LAC awaited change in India’s economic fortunes over the turn of the century. Proxy war, taken as evidence of a waning conventional deterrence, led India to upgrade its conventional power. The Infantry sucked into proxy war was substituted by the Rashtriya Rifles. A third strike corps was created by converting headquarters of the Indian Peace Keeping Force (IPKF) on its return from duty trans-Palk straits. It is popularly held that the three strike corps failed to impress since Pakistan ratcheted up its proxy war. 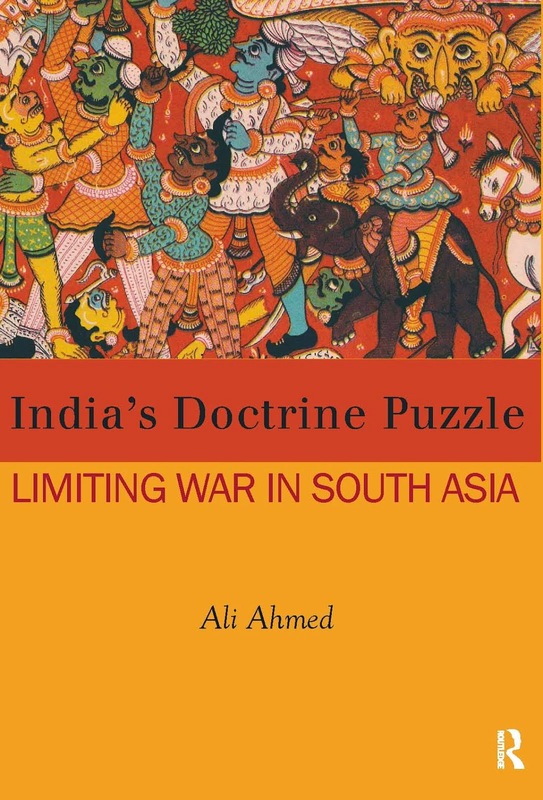 However, it can equally plausibly be suggested that it was perhaps mechanization, and the earlier demonstration of in 1971 of what that capability meant, that led to Pakistan’s deepening of proxy war. Keeping India tied down made strategic sense to a military dominated Pakistan. India for its part kept a military lid on proxy war, while Pakistan took care to keep it simmering below that lid though there were episodes of provocation beyond the proverbial threshold of Indian tolerance. Pakistan’s continuing provocations prompted an offensive military mindset. Evidence is in the ‘activation’ of the LC. The doctrinal shift reflecting this can be dated to the first doctrinal document of the army, put out in 1998. It declared with asperity that the army intends to fight the next war on enemy territory. This was largely a bottom-up expression of the thinking then in Army Training Command (ARTRAC), by then just out of infancy. This proto-doctrine presaged the ‘Cold Start’ doctrine, itself a response to the successive crises with Pakistan of the period. India had acquired a higher profile after its nuclear tests with the US engaging it more seriously as a dialogue partner. The nationalist government was also ideologically predisposed to take India to its ‘rightful’ place. Economically, there was a break out from the low of the nineties. 9/11 and the associated terror spike in India best represented by the terror attack on parliament, led to an exercise in coercive diplomacy in a massive deployment of troops in Operation Parakram. The offensive message to Pakistan was taken beyond the redeployment back to barracks in October 2002 by getting grafted into the freshly minted military doctrine two years later. The new doctrine was predicated on a quick response to terror provocation to ensure that terror remained manageable. This required creation of requisite capacities. While strike corps existed, these had to be made quicker off the blocks. Since in any case this would take time given the intervening distance to the border from their bases in British era cantonments, ‘pivot’ corps were to be entrusted with taking the battle to the enemy in real time. This responsibility entrusted to the defending corps led to the change of nomenclature from the erstwhile ‘holding’ corps to ‘pivot’ corps. This entailed revision of the manner the army had hitherto held the borders. The troops-heavy manner was discarded in emulating the Pakistanis who had sought to substitute manpower with firepower. This released troops for offensive tasks entailed by the ‘proactive’ doctrine. In the mountain sector, additional Rashtriya Rifles raisings, that doubled the strength of the force last decade, are available for taking over of LC management in order to release Infantry so held up for offensive tasks. The subtext is that the army has finally moved beyond borders and their defence. Nevertheless, the site for Cold Start is the border itself. The nuclear threshold compels its ‘broad front, shallow depth’ logic. Border formations would speedily capture vulnerable locales in the vicinity of the border and LC by undercutting the advantage of the mobilization differential that has hitherto been in Pakistan’s favour. It is in a way a replay of the Hussaniwala-Sehjra battles of the 1971 War which changed hands. The gains would help open up Pakistani innards, a useful juncture for beginning parlays. Deeper and more ambitious offensives by strike corps are outside the remit of ‘Cold Start’, predicated as these would be on wider war aims. Cold Start is therefore at best a punitive military reaction to further terror provocation, but the thinking behind it in not transcending borders makes it at best ‘old wine in new bottles’. In the event, when push came to shove at 26/11, the army was found less than ready, both equipment-wise and culturally for the shift entailed by doctrine. While the responsibility, if not blame, for the former can easily be shifted to the bureaucrat-dominated ministry, ownership of the latter lies squarely with the service itself. The post Operation Parakram doctrinal shift had apparently not translated adequately into action by then. The staging forward of armour formations from traditional bases is an ongoing exercise. The army, due to promotion and acquisitions policies that privileged the infantry and the artillery respectively, was arguably still the proverbial Indian elephant and not quite the sprightly tiger of its re-imagining. Clearly, the territorial fixation has not lost its place in military thinking. This is self-evident from the doctrinal deficit on the aims of Cold Start. The idea is to capture sufficient territory in quick-time (therefore the term ‘Cold Start’) to force the exposure of Pakistani reserves to punishment by firepower from both land and air. Pakistani army hurt directly thus would therefore agree post war to reform itself. This has not reckoned with the Pakistani reaction in terms of vertical nuclear proliferation and (sensibly) the very public introduction of tactical nuclear systems into its armoury, such as ‘Nasr’. The former has been forced by India’s march towards second strike capability based on a ‘triad’ in conjunction with its doctrine of ‘massive’ punitive retaliation. The latter is more directly fallout of Cold Start, despite Cold Start for its part envisaging shallow gains that are not worth wasting nuclear ordnance on. However, hypothetical scenarios such as the ‘Sehjra option’ compel a pause. In this, Pakistan resorts to defensive use of a tactical nuclear weapon on its own border territory – in this scenario on the curiously shaped Sehjra enclave near India’s Firozpur when captured by Cold Start forces - not so much to stop an armoured advance but as nuclear signalling. The outcome is consequence of the army’s going public with Cold Start. Developments on the China front reinforce the observation on the army’s territorial mindset. The border has returned to fore, despite two decades of ministering of a peace process. The rise of China and India’s warming to China’s rival, the USA, combine to position India at the future geopolitical hub. Further, Chinese infrastructure developments in Tibet led to an adverse threat perception. The potential for conflict is in patrol clashes resulting from ‘transgressions’ by Chinese patrols of the Indian claim line. Periodic alarm has been raised by strategic circles in the media on this count. This has provoked arming and expansion of the army, perhaps just as intended. Two divisions have been raised for the purpose. The mountain strike corps under consideration has lately been put on hold, ostensibly due to the draw-down in the economy occasioned by global turbulence. The build-up has been informed by the ‘two front’ thesis since the turn of the decade. The element of collusion between the two, such in reported presence of Chinese troops in Gilgit, has accentuated this aspect. The origin of the thesis goes back at least a couple of decades to Pakistan going nuclear with Chinese assistance. It first found mention in K Subrahmanyam’s post 1971 War monograph on the emerging contours of national security. While geopolitical maneuverings involving a hegemonic tryst between US and China provides the backdrop, unsettled borders provide the tinder. Borders are not in distant mists for the army man but instead have life defining dimensions. The chief characteristic of service life prior to the onset of proxy war was the alternation between field and peace stations every two to three years. Field was in earlier more leisurely times normally on the border, usually in high altitude and inevitably remote. Stories of riding elephants to reach outposts, braving hairpin bends, violent streams and precipices at night are nostalgically exchanged in officers’ messes and at barakhanas (military banquets) to this day. Once there, the lack of communications dictated the pace of the day. Since the first step in the military art is to master terrain, the beginning is invariably with gaining a measure of the alignment of the LC, with every kink and turn. Once embedded in consciousness, life revolved around leave, operational alerts, visits and daily routine of reports at reveille and retreat. The idyll was periodically shattered by wars and crises. Some sectors were renowned for being active, where intermittent firing made life challenging. Even the 1971 War, though dated to Pakistan’s air attack of 3 December, was actually well underway at least a fortnight prior with aggressive Indian patrolling and ingress along East Pakistan’s borders. Forebodings of a change were evident by the early eighties with the launch of Operation Meghdoot to take over and retain Siachen by occupying the Saltoro heights. With proxy war gaining momentum over the early nineties, the LC was now a battlefield with ordnance being traded across it. Over the past decade, with decline in proxy war and infiltration across LC, it is the LAC, as the line held on the China front is referred to, that has came to fore. Borders in the plains sector in the interregnum between wars intruded into peacetime soldiering during the annual defensive exercise, Operation Alert. However, in periods of crises, ranging from the Kargil War to Operation Parakram, they assumed the immediacy of life and death as defensive lines running parallel to them in successive tiers. India, seeing itself as a stronger power, could not afford to lose terrain lest Pakistan have something to bargain with at war’s end. Borders have witnessed the execution of the primary responsibility of the army: territorial defence. The two constraints in this have been terrain and resources available. The latter have inevitably been scarce, given the extent to be held, while the former has only served to accentuate the scarcity. Terrain has varied from plains to foothills to implacable mountains. In the plains is the IB sector. Here troops are practiced in rushing from cantonments close at hand to man pre-prepared defences. These defences have over time become concretized. While infantry understandably holds ground, armour, assisted by the mechanized infantry, is to restore the line in case of enemy attack. The defensive battle begins across the border with ‘eyes and ears’ and firepower increasingly reaching well beyond it. Currently, radar and missile cover take the ‘area of interest’ and ‘area of influence’ of formations well into enemy depth areas. While the earlier defensive doctrine was predicated on awaiting the enemy offensive, opening of the front was never so constrained at the tactical level. Thus, raids, patrols, ambushes and trans-border operations, such as capture of enclaves, were well practiced. This ensures that a ‘Christmas truce’ never develops. However, with an offensive turn to the doctrine, these pin-prick attacks are now to be with added weight, befitting the aim of provisioning offensive formations with a choice of launch pads. The Cold Start doctrine therefore is not so much about mobilizing to one’s own defences, as hitherto, as much as being the ‘firstest with the mostest’ at the enemy’s defences. In the mountains there are two variants of defences along borders, depending on the opponent faced, Pakistan or China. Along the LC the defences are considerably dense. These have developed over half century into formidable fortresses not only in terms of defence works but also in minefields, fields of fire and wire obstacles. These have been reinforced over the period of proxy war not only from a force protection point of view but also for an anti-infiltration purpose. Duties in the ‘No War - No Peace’ scenario have become multifarious, ranging from fire assaults to minefield resuscitation. At the height of an ‘active’ LC, raids have been launched across it in reply to Border Action Team shock action from the other side. Their violence was such that these cannot be said to have been cognizant of international humanitarian law stipulations! With relative stability settling in since the November 2003 ceasefire on the LC, SOPs (standard operating procedures) have virtually reduced the Infantry to a role akin to the BSF, sitting as it does in nakas’ (preset ambushes), along the ‘Vij line’. The plus-point is in the heightened technological threshold that the anti-infiltration fence has forced, reminiscent of Israeli measures and indicative of that connection. Defences themselves are reminiscent of the fabled Maginot, Siegfried and Bar Lev lines. The unfortunate fate of those lines is an ever present reminder of the gravity of vigil and vigorous response. Given the density of defences and field works, these are not held in full strength. Where there are no objectives of high net worth, the BSF is also represented. The pattern of operations is based on discovering enemy thrust lines and reinforcing timely. The battle on the LC boils down to reserves, their placement and recreation. The Rashtriya Rifles has been co-opted to help ease this. However, since defence has to be actively conducted, several offensive options are in the works to disrupt Pakistani plans as also to unlock enemy defenses. On the LC, the prevailing understanding is that land taken is land retrieved since it is India’s to begin with. Also, the likelihood of war beginning in this sector is more credible. The LC serves as site of fierce, sometimes underreported, military engagements such as the post Kargil War stand-off over Point 5353 in the Kargil sector and Point 3260 in the Gurez sector. Therefore planning and preparations are more true to life unlike in the plains sector where though thorough and professional, there is a certain unreality associated with preparedness. Since the LC terminates at the coordinates Point NJ 9842, the line thereafter is termed Actual Ground Position Line (AGPL) in the Siachen sector. While casualty statistics have become negligible over the years since 1984, what is certain is that battle deaths have been considerably fewer than casualties from cold and altitude. The Siachen ribbon remains credible as one earned against the odds. No comparable catastrophe having occurred on the Indian side as befell the Pakistanis at Gyari, there is little incentive for the army to get off the heights. As and when there is talk of interfacing with Pakistan on the issue, the army takes care to air its view publicly. It is uncertain if this is with tacit support of the government or as anticipatory veto of any decision the government may be contemplating contrary to the army’s internal input in the decision. This internal dimension in effect makes Siachen more than a low hanging fruit in a bilateral relationship. Thereafter, the AGPL merges into the LAC. The defences on the China front have rightly earned a place in military mythology. The stadium in Firozpur cantonment has a marble plaque commemorating its completion by the use of troop labour of the legendary 4 Division of World War II fame. Ill clad soldiers were sent up from such tasks in the hot plains to prepare defences at places such as Thag La on India’s claim line. In the defence concept, strong points were to be held on to based on the few communication centers and politically significant places so as to buy time for troops to be rushed up from camps with better access and amenities in depth. The intervening spaces were to be dominated by long range patrols. Peace time life included operational works maintenance, warding off malaria and annual family visits. There were few volunteers, either of units or officers, for tenures here. Distances, quality of schooling for children, different people and climate were disincentives. Further along the border, the Burma and East Pakistan borders (later Myanmar and Bangladesh borders) have proven sites of extensive patrolling in search of the elusive ‘encounter’ with hostiles having bases across. Here the Assam Rifles, operationally under the army but better appointed with amenities owing to its parent (home) ministry largesse, holds sway. The creation of Bangladesh in 1971 did not ease cross border predicament. This eased up finally with the Naga ceasefire in place since 1998; with Bhutan launching Operation All Clear in 2003 that witnessed escaping militants falling into the army dragnet in the plains; and when a friendly Awami League government came to power in Bangladesh. The concept of ‘active deterrence’ taking hold, there is an equivalent of a scramble to catch up with the Chinese. The wider defence network is co-opted, with the Border Roads Organisation (BRO) stepping up its output and the Defence Research and Development Organisation (DRDO) working on niche areas such as high altitude ration and, indeed, environment-friendly waste disposal. Deterrence has perked up with the placement of Brahmos missiles in location, Su-30 warplanes, refurbishing of advanced landing grounds and induction of armoured elements where terrain makes possible. Strategic deterrence is in the works with operationalisation of the triad and Agni V a matter of time. However, critical to all this remains the fighting man. Troops, made available by expansion of the army, have staged forward for speedier reaction and acclimatization. The Kargil War has provided considerable ballast to thinking on how to do battle. Firepower, ability to move reinforcements within a sector and reserves between theatres, perfecting of new techniques such as destructive artillery shoots, cliff assault and multidirectional attacks, employment of Special Forces and irregulars etc are possible areas. Training exercises with the Americans are no doubt charting innovative military terrain. Transport aircraft bought from Americans under the less procedurally challenging foreign military sales route symbolize the American ‘pivot’ in Asia and India’s place in it. The somnolence of the East is now history. Some effects of the military’s border presence have not been recognized. Firstly, it bears reflection that the military, largely drawn from the hinterland, is oft an alien presence. Living as it does in isolation from local communities and with resources that are relatively abundant, there is an overpowering local footprint. For instance, the remote high altitude lake in Sikkim, Gurudongmar lake, has come to be associated with the travels of the founder of Sikhism, Guru Nanak. This is likely an apocryphal story, but one inspiring for Sikh troops when deployed. The profusion of temples on passes, dangerous stretches of road and locations of military presence has transformed the profile of areas that are otherwise not inhabited by Hindus. There is a certain redefining of the religious geography of such regions and in the process a defining of India itself. A scene in the movie, ‘Border’, one of Bollywood’s all-times hits, depicts military men viewing the Muslim herders living in the desert alongside their camps as suspect owing to their religious affiliation with their kinsmen on the other side of the border. The popularity of the movie and its repeated telecast through the years particularly as a symbol of nationalism on national days tells that the existence of such thinking is of an order as to be entirely unremarkable. Such social and cultural distance cannot be easily effaced through civic action such as Operation Sadhbhavna, the most rigorous instance of which has been in Kargil after the war there. Opposition in Kashmir in particular, where the military is in search of land for setting up permanent cantonments for the Rashtriya Rifles units once they are taken off the counter insurgency grid, is instance of the reaction. Locals have been recruited into the service such as in the Ladhak Scouts, created as a regiment from a paramilitary after its gallant showing in the Kargil War. This has spin-offs for the local economy as does the employment of hardy local residents as porters in the military posts along the LC. The latter however is not an unmixed blessing in that porter money for their labour has been known to have been put to alternative use not as an exception, but as a rule. Oversight by labour officers and the defence audit has singularly, and spectacularly, failed in plugging this. Worse is when porters are put to military and surveillance tasks such as clearing improvised explosive devices on interconnecting foot tracks between defended posts. Acknowledging such practice needs weaving into the final narrative of the military’s tryst with subconventional conflict. Lastly, is the environmental impact, one that cannot be obscured by raisings of Territorial Army (Ecological) units. Earlier when military budgets were meager, the military would supplement its stock of wood and coal for cooking by foraging near its post to the extent that minefields in the vicinity allowed. Most defence works were earlier from local resources. Reports on timber smuggling have been muted. The army’s contribution to the great Himalayan brown carbon haze, along side that of other military’s in the region, cries out for attention at the regional level and is a candidate case of a very useful CBM. Lately, the thrust on infrastructure building has led to friction on the environmental impact between the army and the bodies in charge of conservation of environment. When the final story of the anti-infiltration fence, the minefields and the occupation of Siachen is written, the environmental impact of these will surely sully the otherwise justifiably glorious military record. Consequences of protracted conflict with both neighbours can be discerned at the political, strategic and institutional levels of analyses. This section discusses the fallout at each of these levels separately, while noting that there is interconnectedness between them. Not only do two adjacent levels have permeable boundaries, but the phenomenon of the ‘strategic corporal’ of late has collapsed the levels onto each other. An illustrative, if hypothetical, example is of a patrol clash at the site of Chinese intrusions, ‘transgressions’ in official parlance, leading to a border skirmish. The ‘face saving’ aspect when institutional self-image and adversarial nationalisms act as propellant could lead to conflict spiral. In effect, a corporal leading a patrol can end up initiating decisions with strategic import up the hierarchy. While CBMs keep a lid on such scenarios, border settlement alone can make them history. Simply put, borders can either be seen as the ‘symptom’ or the ‘cause’ of intractable conflict. In case of the former, the cause is seen in power relations, with asymmetry in the two dyads, India-Pakistan and China-India. Therefore the game of ‘catch up’ is in play, with Pakistan for its part resorting to proxy war and India exerting to gain a measure of equivalence, if notional, with China. In case of the latter, defence of borders acquires added significance. In either case, over the interim, maintaining the status quo is required. Answers lie in defence and deterrence. The problem is in border management being taken as a necessary and sufficient response. While necessary, it is so because border management is by itself insufficient absent efforts towards conflict resolution. In light of the (mis)understanding that border management is sufficient, conflict resolution, centered on negotiated settlement involving ‘give and take’ and the compromises that attend negotiations, is not pursued meaningfully. With CBMs in place and interminable ‘talks’ on (fifteen round of talks have been held with China so far), there is little incentive to create the political heft required for settlement. The political class is preoccupied with managing the neoliberalism-informed transition of Indian state and society. National security bureaucrats are to help shape the external environment by leveraging military and diplomatic power to ensure that this endeavour is not thwarted. Persistence of the ‘1962 syndrome’, evident from the commemorative navel-gazing at the half-century mark recently, also keeps political initiative along conflict resolution lines firmly in check. With respect to Pakistan, firmness is directed against Pakistan’s use of terror as strategy. However, to Pakistan this suggests an unwillingness to discuss. Weaning Pakistan away from its policy choice, albeit an illegitimate one, requires going beyond ‘talks about talks’. India’s approach can otherwise be interpreted as being pledged to talk, it engaged in talks as an end in itself and not a means to an end. Talks are instead the means to a solution and not meant to be an interminable process. Rethinking India’s approach to talks would be an investment in Indian security. 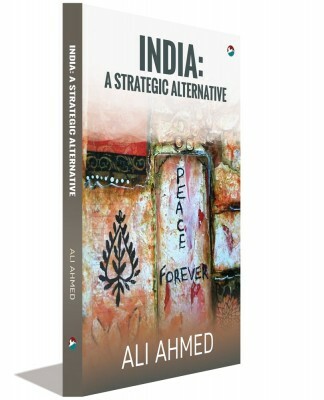 Externally, wider Indian geopolitical and operational attempts such as inclining towards the US and pursuing China-centric missile program respectively; resurrecting defence along the China border; keeping special powers for the armed forces operational in Kashmir etc, are instances of political determination. These ensure India has insurance. Another positive is in the reaching out through opening up of the commercial sector acquiring an internal political cover. The perception is that the public will accept the latter in case it sees the former also in place alongside. The upswing in relations with Pakistan and the two decades of engagement of China are outcome. This is seen as enough in light of political energy being deployed in other crucial areas of national life, not excluding political survival. The political level is janus-faced, having external and internal dimensions. Internally, the indication is that the government is not ‘soft’ on defence. A positive perspective is in India is negotiating with China on the border not as a submissive weak power, but an equal. The idea is that the ‘nation’ would be amenable to an outcome from talks only if India talks from a ‘position of strength’. This would legitimize the border talks and any eventual settlement involving trade-offs. This stage of notional equivalence would perhaps be arrived at by end decade. Yet, the converse needs being wary of. With the military enhancing its capability to defend borders lately, the logic understandably is that unsettled borders warrant preparedness. However, the converse, that of such preparation prevents any meaningful engagement over borders needs reckoning with. Concentrating on an ability to defend leaves little incentive to settle. The political imperative of status quo on the border implies more than mere military vigilance. In a military contest with Pakistan, a draw, such as the 1965 War, would be equivalent of a loss. Against China, there is a will to ensure that, in the words of the army chief, there would be no ‘repeat of 1962 War’. However, in the military’s reading maintaining the status quo implies catering for the worst case. It is no wonder that the ‘two front’ war thesis is ascendant. Capability build up across the board, from nuclear to blue water, acquires a rationale. In this understanding, even a border war, such as brought on by a Chinese thrust to take over Tawang for instance, compels having nuclear deterrence to cover the Chinese eastern seaboard as also an ability to choke the Malacca straits. Such a capability to escalate will ensure, firstly, deterrence, and secondly, limitation. The problem is in localized conflicts ending up as the proverbial spark to nationalism as tinder. Strategic doctrine dictates military doctrine. The diversity of terrain and distances involved entail multiple theatres. With respect to Pakistan, the build up with China in the crosshairs brings about a differentiated strategic doctrine. On the China front, ‘deterrence by denial’ can change to ‘deterrence by punishment’ in case a mountain strike corps comes up. Not only is China to be administered a bloody nose in case it raises its covetous eyes, but its jaw is also to be dislocated. Moving beyond would amount to getting into uncharted nuclear terrain and India’s defensive aims do not reckon doing that. The strategic doctrine in respect of Pakistan is different. The feasibility of the mountain strike corps acting on the Pakistan front, in case of a dormant China front, enables compellence. Therefore a potentially compellent strategic doctrine is clearly discernible, though India disavows from any such intent. Three strike corps in the plains theatre have practiced to an extent that former army chief, General VK Singh, let on that what was taking two weeks during the Operation Parakram era now takes a week and with time will take but two to three days. The gain is that ‘no loss of territory’ takes place, which can otherwise place Pakistan on a footing of equivalence. In this scheme, borders do not merely serve as start lines to offensives but in the nuclear backdrop are critical to an evaluation of the depth to which such offensives can go. This in effect limits compellence, bringing into question the sense behind such a strategic doctrine in first place. While the primary role of defending borders keeps the military professional and outward looking, it also keeps it large in size, attritionist, static and defensive in orientation. Though the Cold Start - ‘proactive and offensive’ – mindset has been in the works for over a decade, territorial imperative still commands a centrality. The offensive is still geared to territorial objectives. This time it is not to seize territory: the US predicament post Iraq War II decisively dispels that. It is to threaten decisive objectives so as to draw out the enemy reserves and decimate them by maneuver and fire from land assets and air power. This implies ‘more of everything’ – maneuver elements, firepower resources, infantry to hold the line, Rashtriya Rifles for countering irregular warfare. This is good from the perspective of arm specific ‘lobbies’ internal to the military. The disquiet between the arms most closely identified with mass, specifically infantry and artillery, and the mechanized and technical arms is an underestimated undertow within the military. The overall loss is the army continuing as a ‘mass’ army. Military ‘transformation’, in the works for half-a-decade, is rendered even more remote. Not usually finding mention in strategic commentary is an outcome in relation to internal politics, specifically civil-military equations. The routine refrain that civil-military relations are on even keel in India serves to obfuscate the reality that is considerably more nuanced, if not quite vexed. The security sector can acquire vested interest in unsettled borders. Continued national munificence and institutional salience can be expected to ensue. This can have internal dividend for the army. Further, the army’s position on Siachen, AFSPA, ‘two front’ war etc. has a constituency, whipped up by the veteran community. In case a convergence is contrived with forces in polity this could have grave implications. Settling borders makes such unanticipated possibilities recede. Not doing so is a current vulnerability that can constitute an opportunity for nefarious political end in an indeterminate future. Lastly, expansion appears as the characteristic reaction of the army to all manner of threats, ranging from conventional threat across borders to unconventional threats of proxy war and insurgency. This knee-jerk response can only have diminishing marginal utility. While the eighties witnessed mechanization and the nineties onwards the raising of the Rashtriya Rifles, the latest wave of expansion has been on the China front. In the ‘two and half front’ formulation, addressing the ‘half front’ – internal conflict - the army has reportedly asked for expansion of six divisions! This is not impossible if soaking up India’s vast armies of unemployed was all that is involved. The problem is that training and socialization are also intrinsic. The quality of this is already under question. More importantly, the narrowing of the recruitment base, particularly of the officer cadre, to the Hindi speaking ‘cow dust’ belt is underway. A decline in the all-India sociological complexion of the military could be discernible if the statistics were made available. In the absence of authentic data this can only be apprehended. Doing so here may prove timely. The civil-military relations problem that can emerge, and arguably is emerging already, is along two dimensions. The first is on the cultural gap between the army and its area of deployment in marginal border areas or in internal security such as in Central India in future. Second is in the possibility of the army’s secular credentials coming under siege, for instance, in case of extremist variants of cultural nationalism find anchor in the recruit catchment areas. Unanticipated outcomes also need guarding against. Since unsettled borders impel expansion, tackling root causes - in this case, borders – entails meaningful border negotiations. That unsettled borders have given the military a raison d’etre is easy to comprehend. That they have helped with ‘nation’ building in terms internal nationalist consolidation against covetous neighbours is less obvious. Unsettled borders go further in the nation-state building project. They enable mobilization of the power by the state and its external projection. They enable state control of its geographic periphery. Unsettled borders therefore are not without benefits. However, keeping them unsettled with a purpose is different from not addressing them purposefully. Strategies appear to be in place for coping with consequences. Take for instance the unstated strategy in respect of Pakistan. Asymmetry is being deepened – using China as rationale - in the hope that Pakistan reacting rationally throws in the towel. The peace process is minimally intended to tide over the interim without Kashmir buffeting India’s growth trajectory. ‘Backchannel’ advances, not having been taken to their logical conclusion through political investment in their potential, ensure that seeds of conflict, even plausibly, nuclear conflict, remain. Borders are predicated on the ‘final settlement’ of the Kashmir issue, one to which India is pledged. The strategy of ‘deepening asymmetry’ carries unwarranted risks in the interim. The strategy of ‘catching up’ with China is equally fraught. Therefore instead of the attenuated premium on the cliché that diplomacy must be under-grid by military muscle, diplomacy to beget border settlement must acquire precedence. The lop-sided statistic of the military commissioning twice the entire number of Indian Foreign Service officers every year is a telling one. Borders have had a dual effect on the military. They have served to keep it professional, and by that yardstick, in the developing world’s context, apolitical. However, to the extent that borders, and equivalent lines that testify to their unsettled status, acquire an overbearing place in the institutional consciousness - and at one remove the national - then its time for rethink. Adding threat of such fallout to the reasons why borders could do with a definitive settlement should tip the balance in favour of settling these earlier than later.